Between 2009 and 2011, I worked as postdoctoral fellow in the Sunyaev Lab at the Division of Genetics of Brigham and Women's Hospital and Harvard Medical School. I was also an affiliated researcher at the Program in Medical and Population Genetics at the Broad Institute. 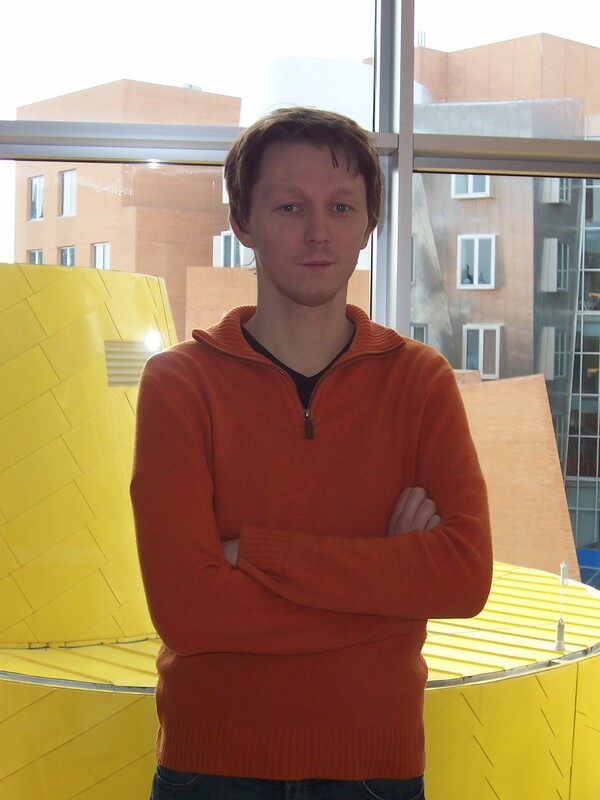 Before coming to MIT, I spent 3 years (2000-2003) working on refactorings etc. in Eclipse, in Erich Gamma's JDT UI team in OTI/IBM Research in Zurich, Switzerland. And before that, in 2000, I got my MSc degree in Computer Science from the University of Warsaw, Poland. In ISSTA 2009 --- International Symposium on Testing and Analysis, (Chicago, Illinois, USA), July 19-23, 2009. (Previous version appeared as a technical report). In NFM 2009 --- NASA Formal Methods Symposium (Moffett Field, California, USA), April 6-8, 2009. In ICSE 2009 --- IEEE International Conference on Software Engineering, (Vancouver, Canada), May 16-24, 2009. Parameter Reference Immutability: Formal Definition, Inference Tool, and Comparison. In International Journal of Automated Software Engineering, Vol. 16 Issue 1 (2009). In ISSTA 2008 --- ACM International Symposium on Software Testing and Analysis, (Seattle, Washington, USA), July 20-24, 2008. In PLDI 2008 --- ACM Conference on Programming Languages Design and Implementation, (Tuscon, Arizona, USA), June 7-13, 2008. In ASE 2007 --- International Conference on Automated Software Engineering, (Atlanta, Georgia, USA), November 5-7, 2007. (Previous version, containing additional material, appeared as a technical report). In WRT 2007 --- Workshop on Refactoring Tools at ECOOP 2007, (Berlin, Germany), July, 2007. In ESEC/FSE 2007 --- European Software Engineering Conference and ACM Symposium on the Foundations of Software Engineering, (Dubrovnik, Croatia), September 5-7, 2007. In MTOOS 2006 --- Workshop on Model-Based Testing and Object-Oriented Systems, (Portland, Oregon, USA), October 23, 2006. In ECOOP 2005 --- Object-Oriented Programming, 19th European Conference, (Glasgow, Scotland), July 25-29, 2005. In Object-Oriented Programming Systems, Languages, and Applications (OOPSLA 2003), (Anaheim, CA, USA), November 6-8, 2003, pp. 13-26. In OOPSLA'01 Companion (October 2001). This work is superseded by the new technical report. IBM T.J. Watson Research Center IBM Research Report RC 23238, (Yorktown Heights, NY, USA), June 2, 2004. IBM Research Report 22662, December 4, 2002.